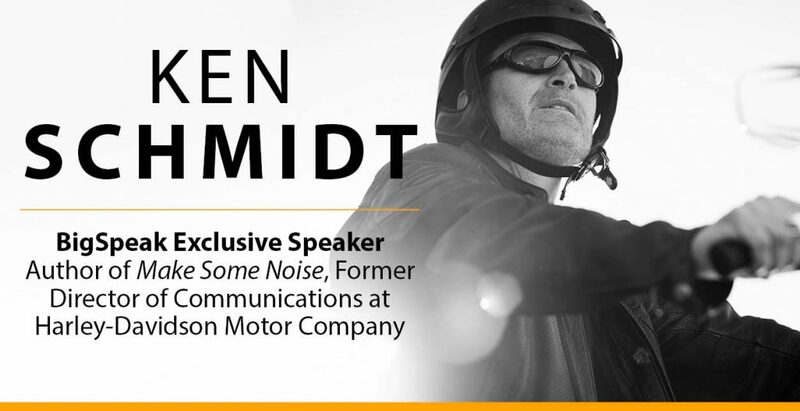 BigSpeak is proud to welcome the man that turned Harley-Davidson Motor Company into a tattoo-worthy brand—Ken Schmidt. Ken was brought on as Harley Davidson’s Director of Communications in 1985 when the company was on the brink of ruin. 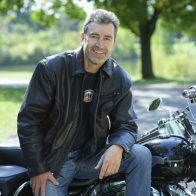 Through his branding, storytelling, and marketing expertise, Ken was able to around the company’s image and transform Harley-Davidson into the success we know it to be. Now, Harley-Davidson is the most widely-known motorcycle company in the nation with a reputation people pay a lot of money to be a part of. Ken served as the primary spokesperson to the media and financial communities, making him the face of the freshly branded company and a branding expert within the world of business media. He has toured the world on two wheels, met with presidents and royalty, partied with movie and music legends, and appeared numerous times on network news. In 2018, he put his expertise into a book—Make Noise: The Unconventional Road of Dominance that shares stories and insights on the road to building a fanatically vocal customer base, creating a passionately loyal corporate culture, and developing leaders who inspire and motivate. He has spoken to Fortune 500 countries around the world and given over 1,000 keynotes.